To prevent cardiac diseases and accidental falls, it is good to get moving and stay active. It can be hard to keep track of your movement yourself, especially when you want to track of your progression. If you want to effectively track your movement and activity, try using a Baseline® Pedometer. The Baseline® Pedometer comes in three different models: LiTE®, Standard, and Deluxe. Each model features a protective case, safety strap, large easy-to-read digital display, and calorie measuring chart. The calorie measuring chart tells you how many calories you burned based on your weight and the number of steps you take. Say you are a person who weights 220 pounds and took 2000 steps, you will have burned around 100 calories. 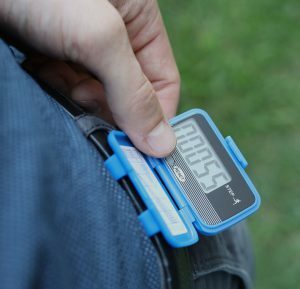 The Baseline® LiTE® Pedometer is the base version pedometer that Baseline® has to offer. 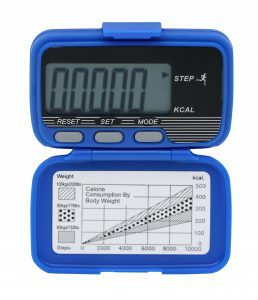 It only counts the steps and has all the base features included with all the pedometers including a protective case and safety strap. The Baseline® Standard Pedometer has all the features of the LiTE® version but also measures distance taken and calories burned. This is especially helpful if you want to know the exact calories burned and do not want to manually calculate it via the chart found below the digital display. The display for distance is great for those who want to know how many steps are needed to go a certain distance. The Baseline® Deluxe Pedometer is the most feature-packed pedometer Baseline® has to offer. It has all the features of both the LiTE® and Standard versions with the addition of displaying activity time. Measuring activity is important for those who want to know the time it takes for the steps they have done. It complements the distance display for the full step tracking experience. To lead a healthier lifestyle, it is good to stay active and measure your progress. For the best and most accurate step tracking experience, we highly recommend the Baseline® Pedometer. To check out our line of Baseline® Pedometers, click here.